Striking graphic pattern of concentric circles and squares reminiscent of modern 80s style textiles. Patina with satin finish. 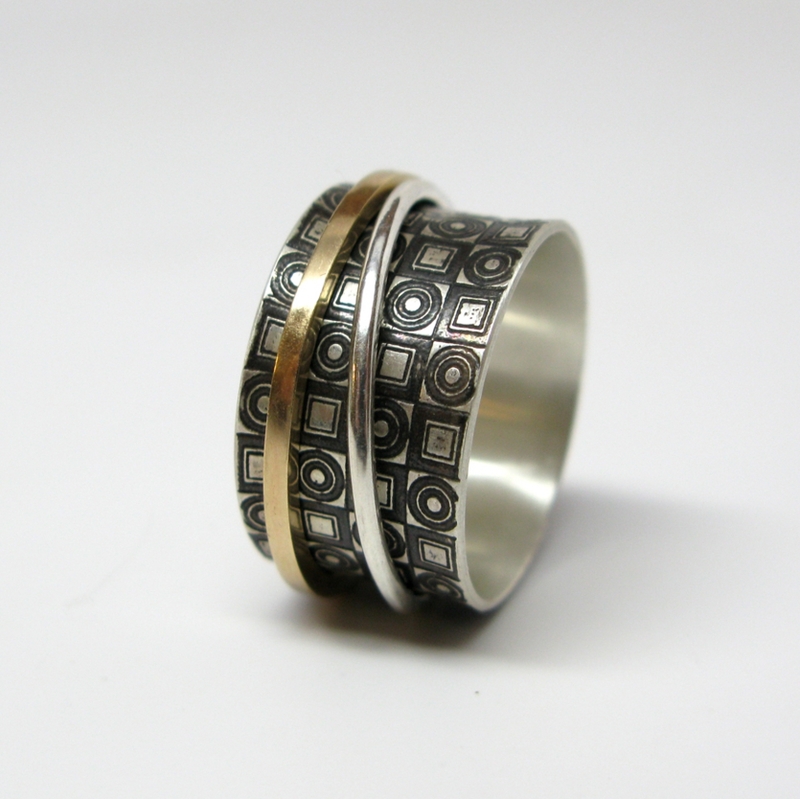 One square 14k gold band and one sterling silver round band spinners float freely around ring. 1/2 inch width. Made to order. Indicate size when ordering and allow up to 2 weeks days fabrication. Note: This style of ring fits best 1/2 size larger than what you normally wear for thinner bands.